The town of Henbane sits deep in the Ozark Mountains. Folks there still whisper about Lucy Dane's mother, a bewitching stranger who appeared long enough to marry Carl Dane and then vanished when Lucy was just a child. 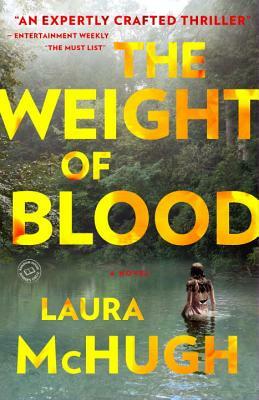 Now on the brink of adulthood, Lucy experiences another loss when her friend Cheri disappears and is then found murdered, her body placed on display for all to see. Lucy's family has deep roots in the Ozarks, part of a community that is fiercely protective of its own. Yet despite her close ties to the land, and despite her family's influence, Lucy -- darkly beautiful as her mother was -- is always thought of by those around her as her mother's daughter. When Cheri disappears, Lucy is haunted by the two lost girls -- the mother she never knew and the friend she couldn't save -- and sets out with the help of a local boy, Daniel, to uncover the mystery behind Cheri's death. I read about this book on Kirkus Reviews and thought it might be worthwhile to read it. I was interested in the setting - the hollers within the Ozarks. The book was formulaic and predictable I thought. The book flips back and forth in time, although not always seamlessly. We have 16 year old Lucy who is present day and all of her friends and family, and her mother Lila after she arrived in the town of Henbane at the age of 18. The connecting thread between the two times is the mysterious disappearance of two different girls - one in Lila's time and one in Lucy's. Lucy has been traumatized by the disappearance of her friend Cheri, who was considered slow-minded by the folks in Henbane. When her dismembered body was found placed in a tree in Henbane a few weeks later, the small community is reeling from the shock and terror. The more Lucy digs to try to find out what happened to Cherie, the more secrets and lies she discovers. Lucy's mother disappeared when Lucy was just a baby, and no one in the town has any idea where she went or what happened to her. Lucy's findings while trying to find out what happened to Cherie lead her to believe that her mother's strange disappearance 14 years before is somehow connected. I found the book didn't really build up tension and I was guessing what was going to happen in the next chapter most of the way through. I don't feel that I can recommend this book.